Faubourg French Patisserie specializes in authentic Parisian baked goods, pastries and desserts. Located on West 41st Avenue in the heart of Kerrisdale, Vancouver. 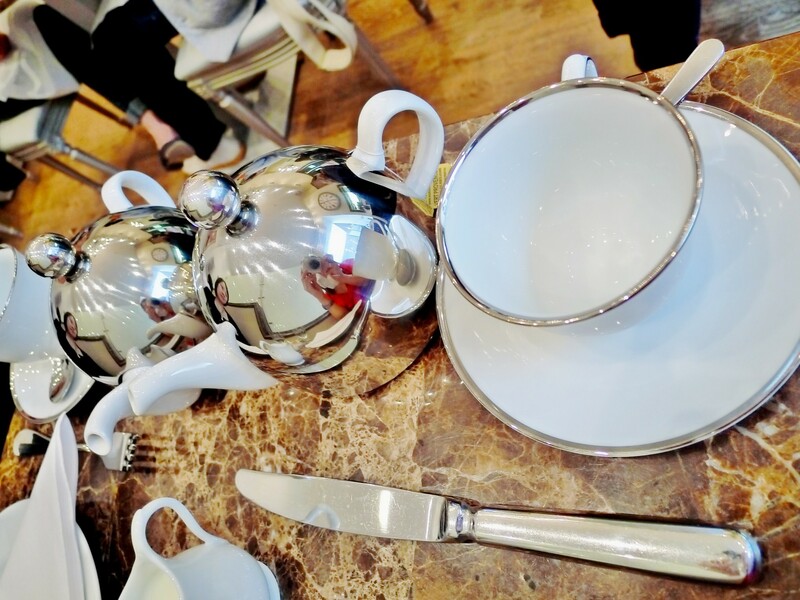 Faubourg is a of tea house, café, bakery and bistro into one cute little package. Chocolaty exterior; bright and chic interior, this place is constantly busy. There are also location to both Downtown Vancouver and West Vancouver at Park Royal Shopping Centre. 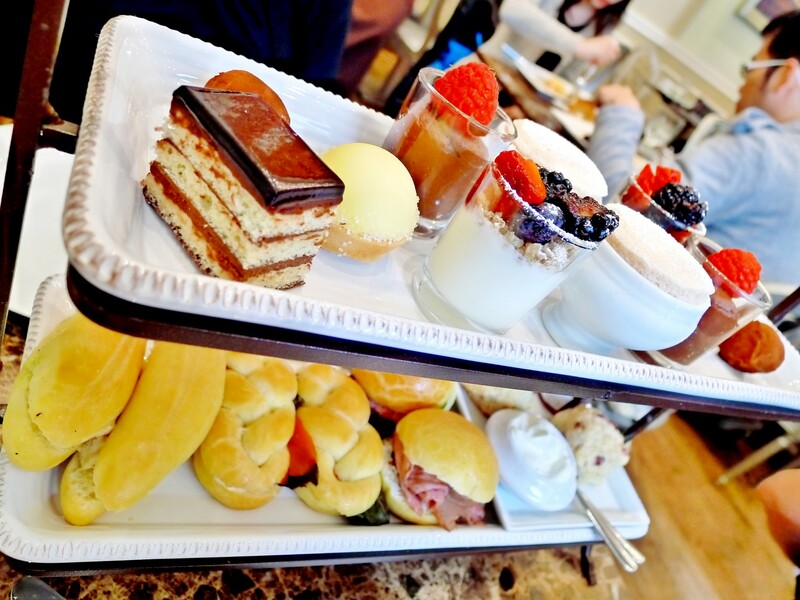 With the tea craze in Vancouver, high-tea experience is never dull! Faubourg poses a stiff competition to the beloved Fairmont Hotel Vancouver, Thierry Chocolaterie Patisserie Café, Urban Tea Merchant, Secret Garden and the like. Front of the restaurant caters to take-outs, walk-ins patrons who come in for a proper café au lait and some tasty treats: Lemon poppy seed scones (a light airy melts in your mouth scone), pain au chocolate (chocolaty rich buttery, slightly crispy with a golden-brown exterior) and signature lemon tarts (creamy tart lemon curd on top vanilla milk foam on a flaky tart shell). 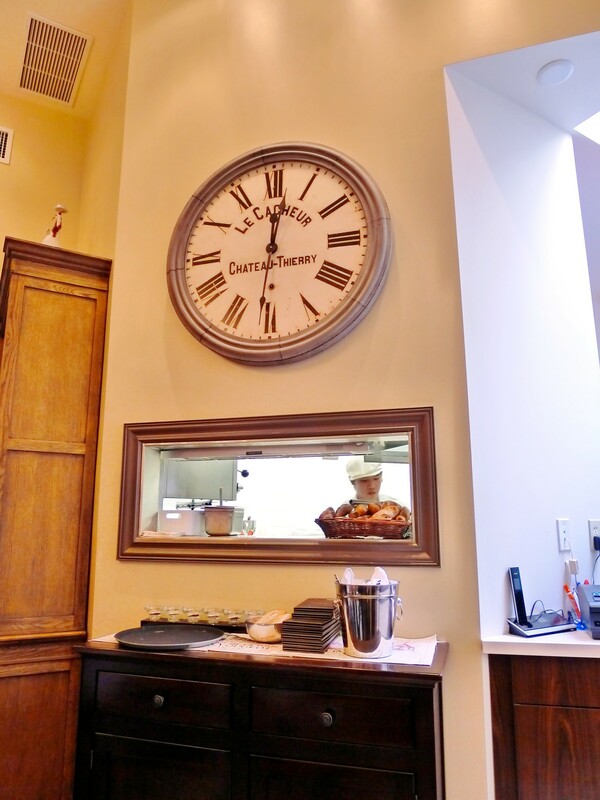 Counter service is always prompt and cheerful! Faubourg features a large airy high-ceiling space and hardwood floors with marble counter tops. Back of the restaurant is a bistro for brunch and high-tea. 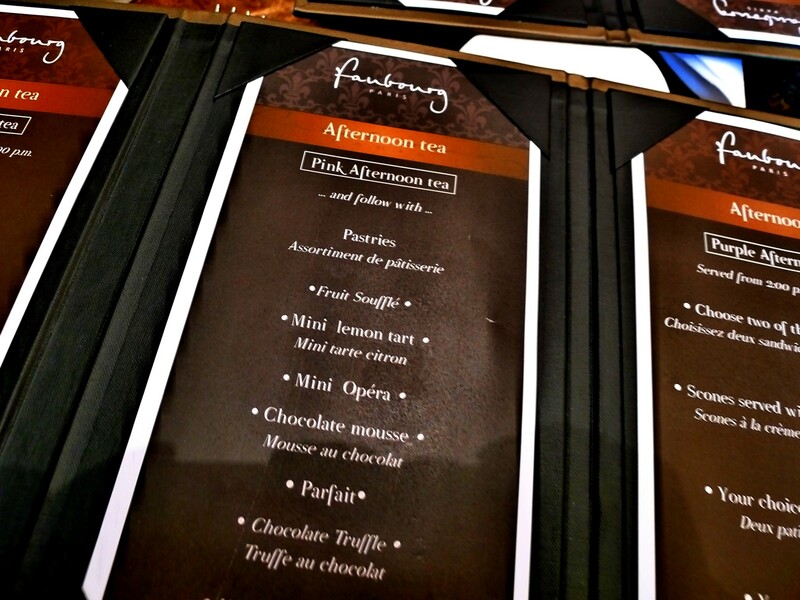 High tea at Faubourg offers a selection of elegant treats, seasonal flavours and a selection of sandwiches and scones. While I may not fancy to drink my tea “pinky out“ and I’m more caffeinated over coffee beans than Darjeeling I do enjoy the variety of petite bite size treats and a selection of teas. Sample and inhale your tea selection prior to choosing the best contender. Sultane Ceylan, Vert Provence, Bourbon French Vanilla, etc. The selection of tea was not just your average Lipton tea bags. Selections carried came from Mariage Frères. 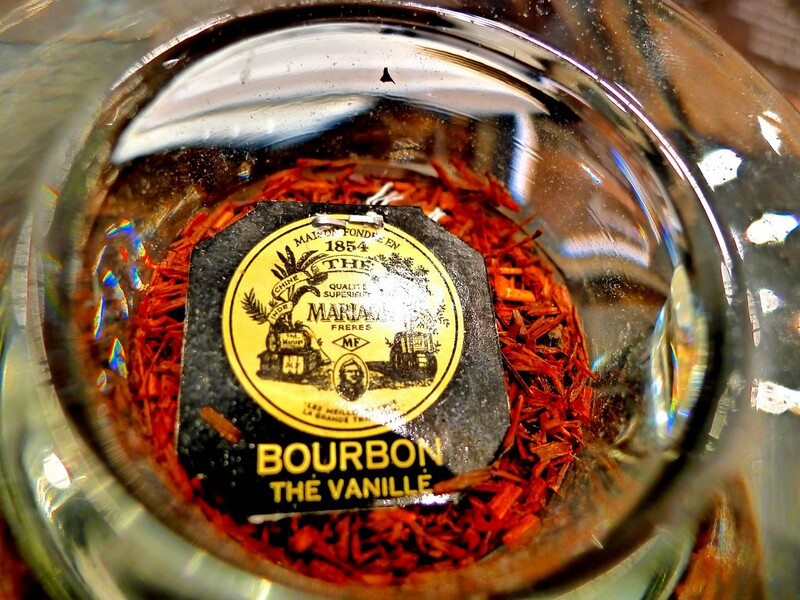 The tea is fragrant and flavorful – creamy rich and not watered down. There is something for everyone whether you are a green tea, red tea, or a herbal non-caffeinated lover. 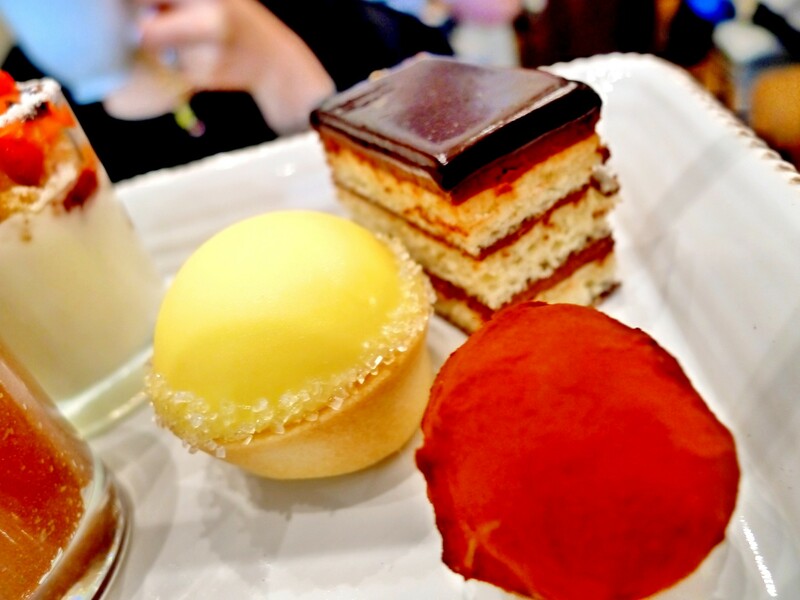 Choose from Pink Afternoon Tea ($25.50) or Purple Afternoon Tea ($16) a petite set menu. Because we always love variety, Pink is the way to go. Chicken and apple with country ranch herb dressing – Sweetness of apple lightens a plain tasting chicken. Cucumber and Roast beef with coriander cream – A meaty twist of cucumber sandwich with savory taste of roast beef. I liked this one more than the regular cucumber stuff sandwiches. 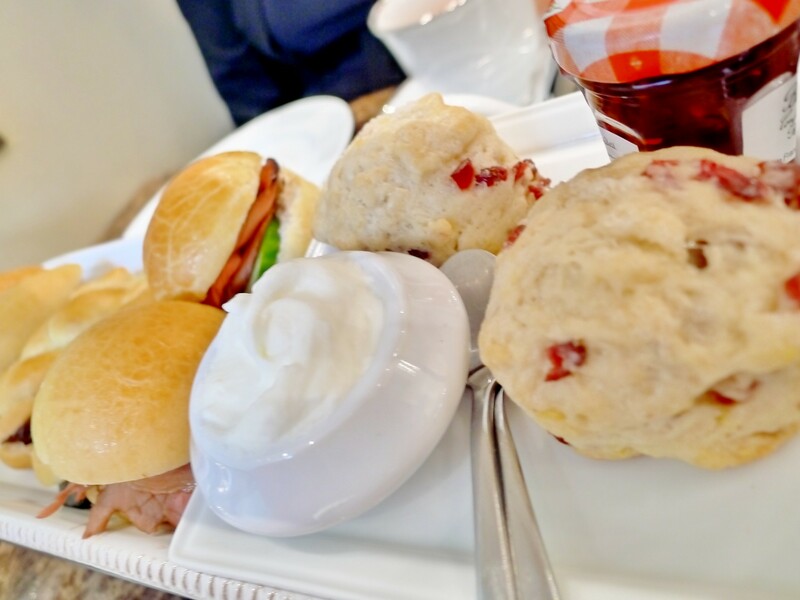 Scones served with Devonshire Cream and jam – light buttery scones paired with Devonshire cream is delicious. 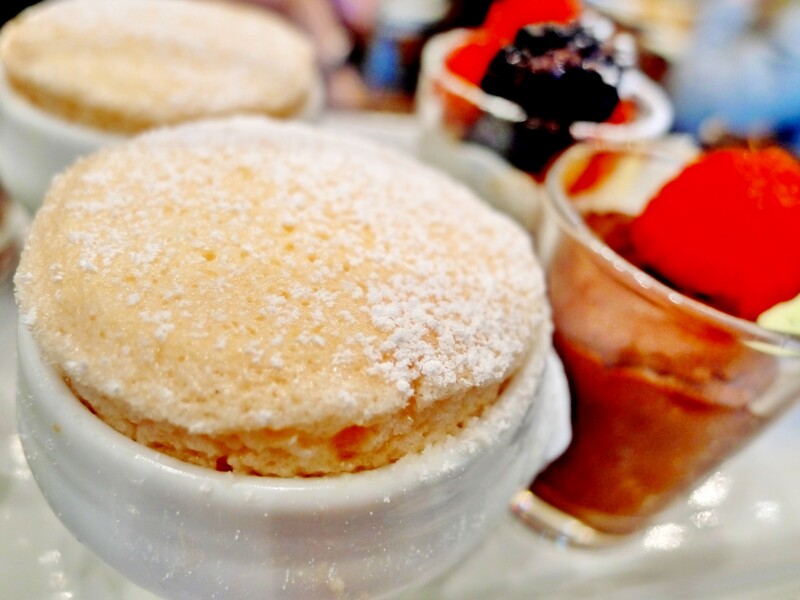 Fruit Soufflé: Blood Orange – Delish and sinful. Tart and light. I almost wanted to fight for my friend’s also. 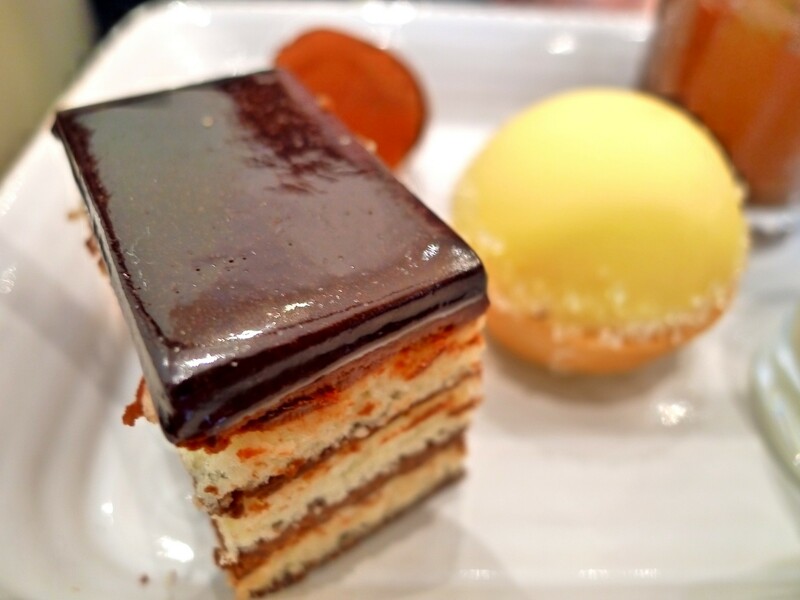 Mini Opéra – A rich decadent chocolate cake. Slightly overwhelming. Perhaps more suited for a coco lover. Chocolate mousse – a smooth coco mousse. Pretty standard. Chocolate Truffle – A rich bite size coco truffle. Don’t underestimate the chocolaty richness because of its size. Please always remember to make reservations, especially as it comes closing to the holiday season. Faubourg is busy and getting a seat is not always easy. I know next time I’m coming here for BRUNCH … those benny’s looked killer from the table next door!